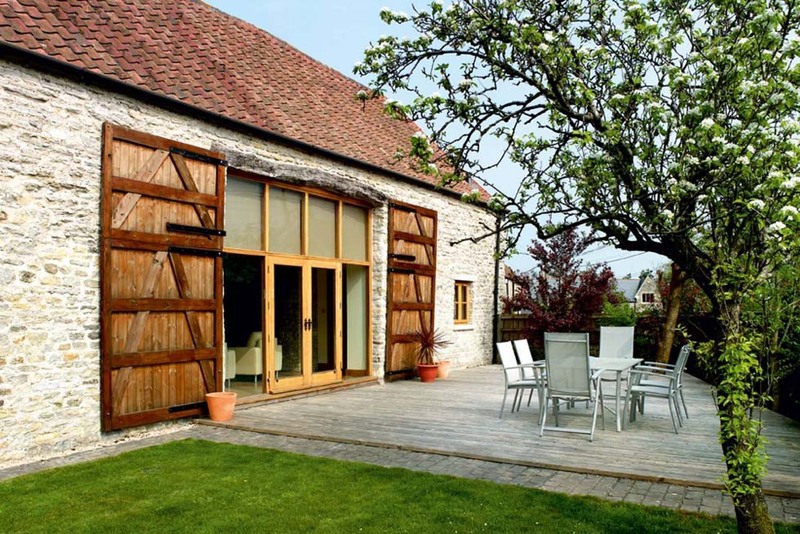 A listed stone barn near Bristol has been stunningly converted into a contemporary home. 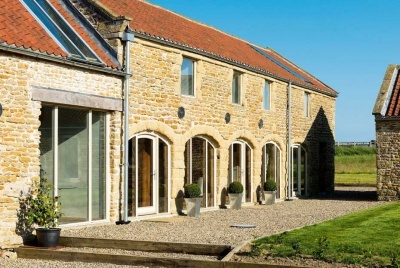 Taking a hands-on approach enabled Sharon Li and Jamie Nelmes to convert a listed stone barn into a stunning contemporary home for just £120,000. Anyone with champagne dreams and a lemonade budget will be cheered by the story of Jamie Nelmes and Sharon Li. 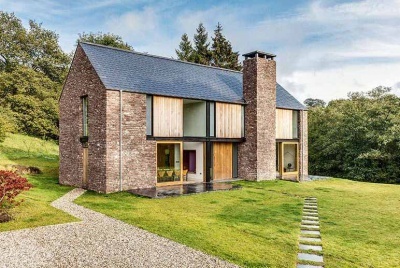 They recently converted a listed stone barn near Bristol, incorporating designer concepts such as a home cinema, sleek bespoke kitchen and fabulous helical staircase, on an unbelievably tight budget of just £120,000. Similar grand designs usually require a dedicated team of expert craftsmen accompanied by a breathtaking price tag, but Sharon and Jamie achieved the same high-quality finish virtually unaided – even shunning an architect in favour of producing the floorplans themselves. Granted, Jamie has some previous experience doing up run-down period properties in his spare time; but before he gave it all up to complete this latest conversion, his full-time profession was in design. Prospective clients are no doubt suitably impressed by Jamie’s portfolio pictures of the barn. He has created fantasy interiors within the traditional rectangular building which rely heavily on curves for their impact. The swooping main staircase is undoubtedly his greatest achievement, moulded around a structural steel skeleton frame reminiscent of a fire escape. Four weeks of solid graft transformed the crude original into a glossy and gravity-defying swirl, where sturdy oak treads lead up to the glass balustrades of a mezzanine sitting area. 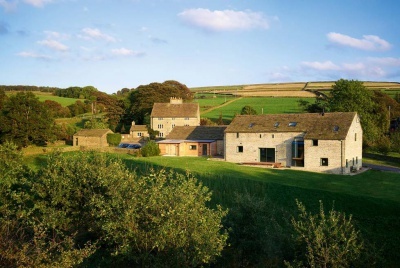 The huge barn is part of a complex of other agricultural buildings around a shared courtyard, and a previous owner had already succeeded in gaining planning permission, which was fast expiring when Sharon and Jamie heard about the sale through a friendly estate agent. The couple raced straight over and agreed to purchase the derelict structure, selling their new four bedroom house in Bristol and renting a neighbouring farm cottage for the duration of the two-and-a-half-year build. Internally, the roof framing has been carefully wirebrushed and oiled left exposed throughout thanks to a full-height vaulted living space with two mezzanine levels at either end. Two of the four bedrooms are located on the ground floor, accessed through doors positioned on either side of the sitting room fireplace. Here, a second staircase leads up to a further guest room on the first floor, which benefits from a private bathroom. The master bedroom is separately accessed by the main helical stairs, and Jamie and Sharon have cleverly accommodated an existing beam by creating a platform for the low-lying bed, which is reached by steps. Lit from behind by an original window, the effect is reminiscent of a stage. Next door, their well-proportioned master bathroom boasts a free-standing bath, twin-bowl sinks over a vanity unit, and a separate shower with the requisite curved glass enclosure. 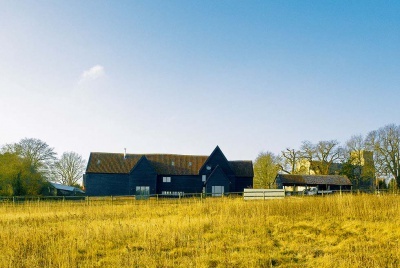 These softer lines complement the angular shape of the barn and its structural beams, bringing the finished building bang up to date, while still respecting the simplicity of the original. Nowhere is this more apparent than in the kitchen, where cream units and oak worktops line the walls, and are offset by a spaceage circular island unit which takes centre stage. In fact, the timber island unit is not completely circular in design – although the oak worktop succeeds in giving this impression. Illuminated curved display shelves are linked by two 600mm units, which serve to house an integrated microwave and refrigerator. With no dining table in the house, the couple tend to eat at the breakfast bar on the island, perched up on two high stools. “We’re still quite young and didn’t feel the need for a formal dining room,” says Jamie. The kitchen may be well used but, despite the impressive proportions of the main living area, Jamie and Sharon spend more time up on the cosy mezzanine level. They kitted out the high vaulted living space with a home cinema projector and screen, but find they only really use this when they are entertaining, preferring to kick back and watch television upstairs.